FunSized Living: In the Kitchen with FunSized Returns! 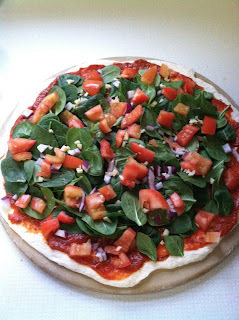 Well, that goal of trying a new recipe every week disappeared for a little bit but I'm bringing it back with a new FunSized Homemade Pizza recipe! As I've said previously, making pizza at home is much healthier than buying it from your favorite local Italian place but it's just as good! Once the sauce is down on the dough, that is when the creativity begins! I topped this pizza with spinach, small sliced pieces of red onion, 2 plum tomatoes cut in small pieces, and then sprinkled with some fresh minced garlic, and oregano. After all those toppings were on, I layered on two bags off mozzarella shredded pizza cheese. Just look at how delicious this looks! 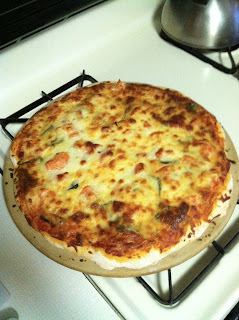 And just after 40 minutes in the oven at 400 degrees it was ready to eat! It was super yummy! Just remember to let it cool for a few minutes prior to eating! Have you made any homemade pizza yet? 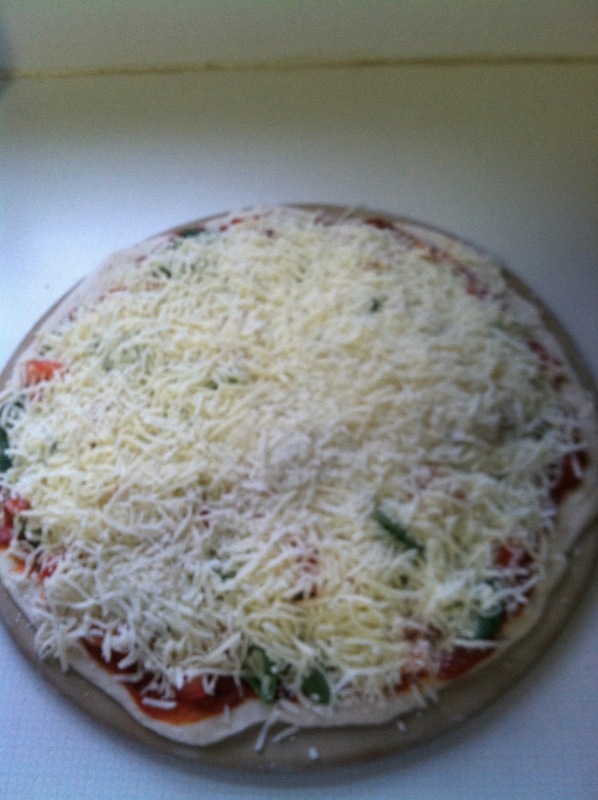 Let me know what toppings you used!